How Can a Ferrari Appreciate? This is a question that baffles so many people. Automobiles are rarely discussed as appreciating assets, but when you are purchasing a Ferrari, this may very well be the case. The answer is simple economics: Supply and Demand. Seems obvious, doesn’t it? Here is the deal: Ferrari has always under-produced cars, failing to meet total demand. For many years, every new Ferrari built was pre-sold, and you had to qualify to buy a new car even if a slot became available. You might be thinking the only qualification is being able to afford the car, but that is not the case. You have to be approved by Ferrari to buy a new Ferrari. They look at how many Ferraris you have owned in the past, which models, and how long you have been a registered Ferrari owner. Last consideration is whether you can afford it, and to be approved, you will have had to own so many Ferraris in the past, the ability to afford the car will be assumed. This selection may seem ridiculous to some, unfair to others…but from what we can tell, most Ferrari customers love it. You might be thinking, “Of course they do, they’re on the approved list!” Well, yeah, exactly. Nothing says “exclusivity” like not being able to get one until you’ve already had one…it seems counter-intuitive, but in fact, it is genius. This process weeds out anyone who isn’t a True “Ferrarista” (i.e. people who buy a new Ferrari and sell it the next day to make a quick buck or two, when the car could have been sold to someone who would appreciate it for the treasure that it is). With a production of only 7,000 cars per year (that’s across all models, folks), Ferrari has skewed the supply vs. demand ratio completely in their favor. 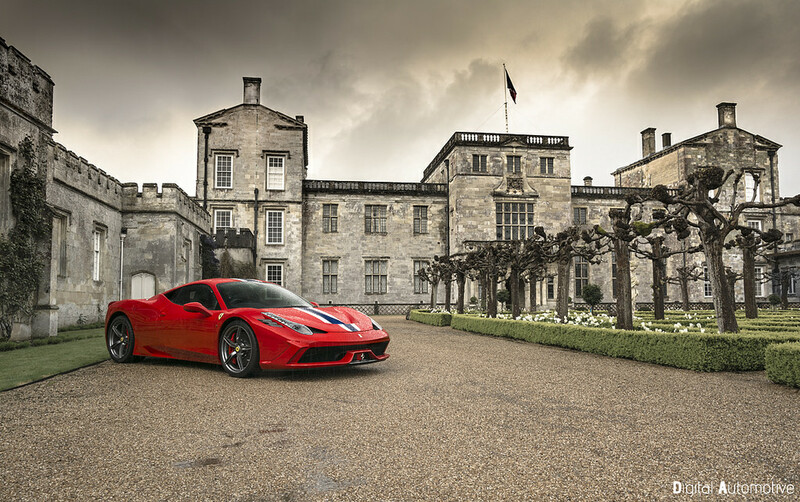 NO other car maker in history has had demand exceed production like this, making Ferrari the most collectible car brand around. Now, all that being said, certain models are far more collectible than others, and once again, this is all based on supply vs. demand. For example, in 2009, Ferrari stopped making true manual 6-Speed Transmissions – meaning cars with a clutch pedal and gated shifter. Since then, models with gated shifters, or true manual 6-Speed transmissions, have boomed in popularity. At the RM Sotheby’s Amelia Island 2015 auction, for example, a Ferrari 599 GTB with a six-speed manual transmission went for a record $682,000, demonstrating the craze for true manual transmissions. The classic or antique Ferraris are seven figure cars and above, making them unattainable to most, while also causing the less expensive, more modern cars to rise in price as more and more people want to join the Ferrari Owner’s Club. Don’t get me wrong, it is possible to buy the wrong car at the wrong time and see it depreciate, but with proper guidance, you can invest in certain Ferrari cars, and watch your money work for you.